Minyan Na'aleh is pleased to offer our annual Kol Nidre service AND 2nd Day Rosh Hashanah. We are very grateful to BMH-BJ for generously providing us with space for both Kol Nidre and Rosh Hashanah. BMH-BJ is located at 560 South Monaco Parkway, Denver, CO 80224. 2nd Day Rosh Hashanah: Services will begin at 8:30AM in the BMH-BJ Library. Kol Nidre: Kol Nidre will begin promptly at 6:30PM. 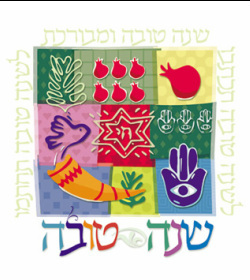 Minyan Na'aleh will meet in the Gallery Room at BMH-BJ. BABYSITTING / CHILDREN'S PROGRAM: Minyan Na'aleh parents are invited to utilize the childcare program at BMH-BJ. The cost is $25 per child for each session. Please click here to register for childcare. This registration must be completed in addition to signing up for tickets. Payment should go directly to BMH-BJ. * Please note that there is not a place on the registration to note that you will be attending services with Minyan Na'aleh. Please put down one of the other 3 options. OTHER HIGH HOLIDAYS SERVICES: While Minyan Na'aleh is offering both 2nd Day Rosh Hashanah and Kol Nidre services, BMH-BJ invites members of Minyan Na'aleh to attend their high holiday services. A donation to BMH-BJ is appreciated. We are very grateful to BMH-BJ for extending this warm invitation to our participants. Are you interested in participating in either the Rosh Hashanah or Kol Nidre service? Email: naaleh@gmail.com .